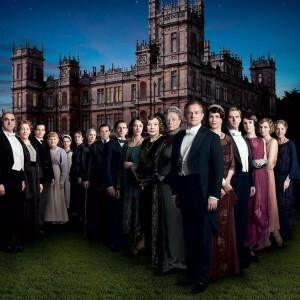 Bidding begins at $16.800 for a night in Highclere Castle featured in the hit TV-series Downton Abbey, proceeds go to charity. Christie's is offering the chance to spend the night in Highclere Castle, used for exterior and most interior shots in the popular period drama Downtown Abbey. Money raised from the auction will support the Heroes at Highclere charity. Highclere Castle is a country house in the Jacobethan style by British architect Charles Barry, known for rebuilding Westminister Abbey with a park designed by Capability Brown. The 5,000-acre estate is in Hampshire, England. The auction will commemorate the WWl centenary and will raise funds for armed forces charities. The winning bidder will also get to dine with the Earl and Countess of Carnarvon, who own the castle. Bidding begins at $16.800, fans can get bidding until August 14th!